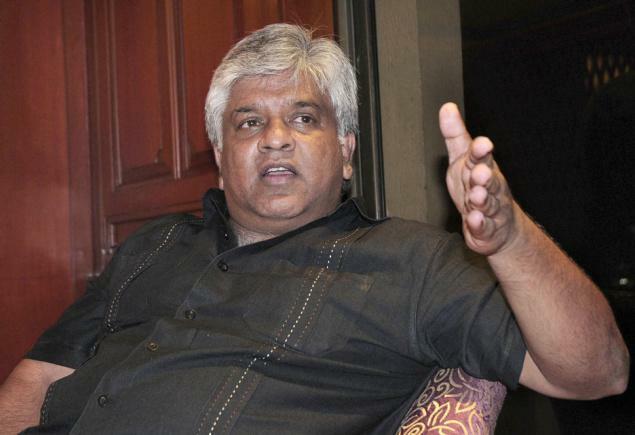 A complaint is due to be filed with the Human Rights Commission by the Minister of Ports and Shipping Arjuna Ranatunga over the Sri Lanka Cricket Election held on January 3. Ranatunga contested for the post of Vice President of SLC. However He managed to poll only 80 votes and could not get elected. Jayantha Dharmadasa and K Mathivanan were elected with 102 and 90 votes respectively. Sri Lanka Cricket Election was held at the Ministry of Sports Auditorium on January 03. Stick to your Politics and let the sports be run without politics!! !